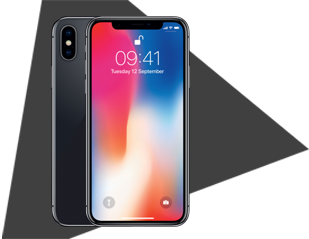 Showcasing a fresh new design, iPhone X is the ground-breaking handset you’ve been waiting for. 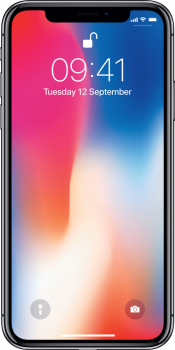 Boasting an edge-to-edge OLED display, face-recognition security, True Depth camera, wireless charging, and animated emojis, iPhone X is in a class of its own. £1115 total cost over 2 years What's This? £1196 total cost over 2 years What's This? £1142 total cost over 2 years What's This? £1090 total cost over 2 years What's This? £1038 total cost over 2 years What's This? £1056 total cost over 2 years What's This? 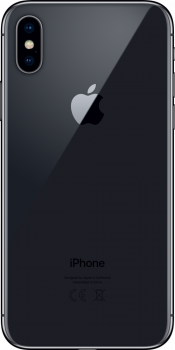 Apple's 10 year celebration of its most iconic product ended with the announcement of the iPhone X, which turned out to be the best iPhone we have ever used. 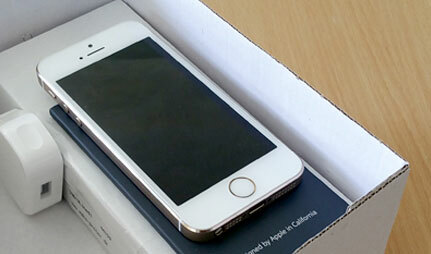 It may not be the cheapest iPhone available, but one look at that stainless steel and glass body will win you over. The biggest departure from previous iPhones is the new 5.8-inch screen, which now stretches nearly edge-to-edge and boasts a pin-sharp resolution. It's OLED too, rather than LCD, so blacks are deep and inky. Watch an HDR-enabled movies from iTunes on this screen and you'll be immersed. The glass back enables Qi wireless charging, while the IP67 water-resistance rating means you'll be able to use it without worry in the rain. There's still no headphone jack though, but at least the bundled Lightning earpods are passable. Apple's updated camera system features dual sensors and takes fantastic photos, plus the Portrait mode gives you that silky blurred background effect. Then, of course, there's Face ID; the facial-recognition feature that replaces the fingerprint scanner. It's reliable and gets better the more you test it, but it'll still take some adjustment. Battery life is good, but the endurance can't match the iPhone 8 Plus, and we still feel it's too delicate to use without a case. 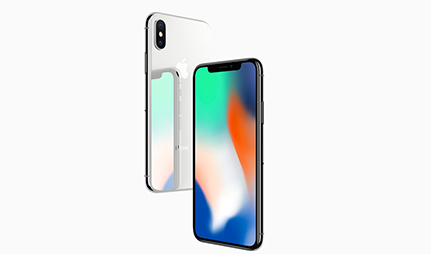 Redefining iPhone as we know it, iPhone X throws away the rulebook to present an immersive device that is entirely screen. 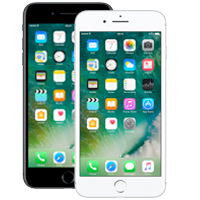 The Home Button has now been replaced with intuitive gestures, to make it even easier to navigate your phone in a natural way. With reinforced glass on both the front and back of the handset, this is the most sturdy handset Apple has ever produced. A surgical-grade stainless steel band circles the edge of the handset, making iPhone X more durable, as well as polishing up to a beautiful shine. The phone is also precision-engineered to be water and dustproof to protect against everyday spills and splashes. Perfect for entertainment, this dazzling display offers HD action that truly stretches from edge-to-edge, stretching the screen to 5.8 inches for a bezel-free appearance. With a true High Dynamic Range, you can enjoy the latest blockbusters in Dolby Vision. This Super Retina display is Apple's first OLED screen, displaying stunning colours, true blacks, brilliant brightness and rich contrasts. Furthermore, new True Tone technology optimises the white balance of playback based on your surroundings for natural images every time. The 12MP main dual camera offers a vertical set up for wide-angle telephoto results. Featuring a naturalistic colour filter, depth-sensing facial mapping, optical image stabilisation and 10x optical zoom, you'll be sure of professional looking results at any time of day. iPhone X adds a new dimension to its cutting-edge 7MP front camera, with all-new True Depth technology in its front-facing lens. 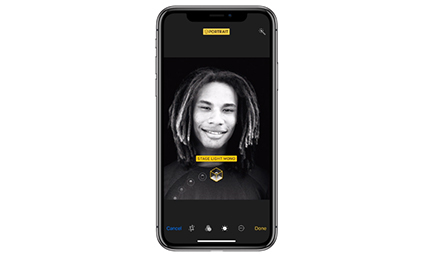 Create stunning selfies with blurred backgrounds, or make use of studio quality lighting effects with Portrait Lighting in Portrait mode. 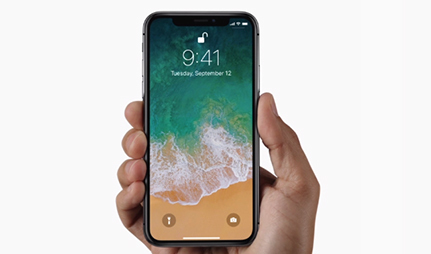 iPhone X debuts facial recognition features with iPhone X in the form of Face ID, for ease of unlocking. Offering a swift and simple way to unlock your handset, the face recognition technology adds an extra layer of security. 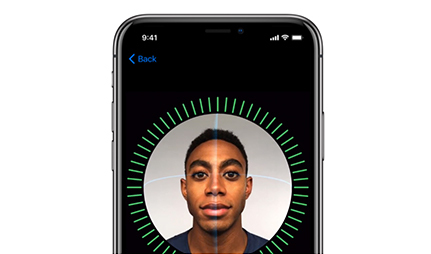 Using iPhone X's True Depth camera, iPhone X analyses an individual's features using more than 30,000 virtual dots to create an accurate facial map. Face ID is so secure, you can use it to make mobile payments through Apple pay, authorising transactions at a glance. Continuing the new features, iPhone X offers Air Power wireless charging, meaning you can dock the device for a power-up using any Qi charging station. iPhone X also showcases the A11 Bionic chipset for rapid multi-tasking, and cutting-edge Augmented Reality apps and games. 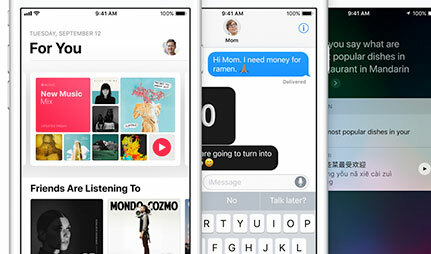 iOS 11 has plenty of new tricks up its sleeve, such as the new Animoji feature. Utilising the front-facing True Depth camera, you can now animate a range of 12 emojis based on your own facial expressions, mapping 50 muscle movements to mirror your own expressions. 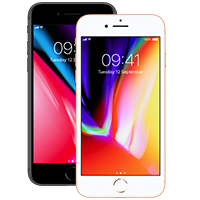 Looking for the best iPhone X UK price available? 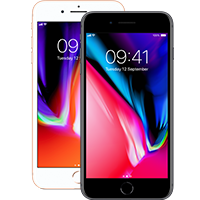 Here at Mobiles.co.uk, we offer amazing iPhone X deals, backed up by our 20 years online experience. 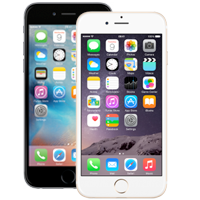 There’s plenty to choose from, with the latest smartphones available through all the big networks. With low-cost tariffs, free next-day delivery, and dedicated after-sales care, there’s no need to search elsewhere. We’re multiple award winners, regularly receiving industry awards for our top service and great value deals. A closer look at Apple's brand-new iPhone X, the most advanced and premium iPhone to date. This is it. The next generation of iPhones have arrived. Discover more here. 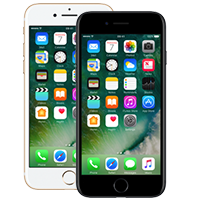 Can't decide whether to get the iPhone 7 Plus or the cheaper SE? 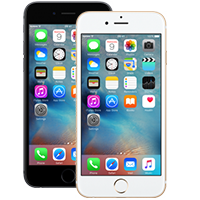 Our guide comparing each model will help you select the Apple iPhone that's right for you. It’s a bit weird transitioning from a 6 to an X. The size difference is a bit mad. And as the control panel is at the top right hand corner, it can be a bit difficult for my little hands but we move.